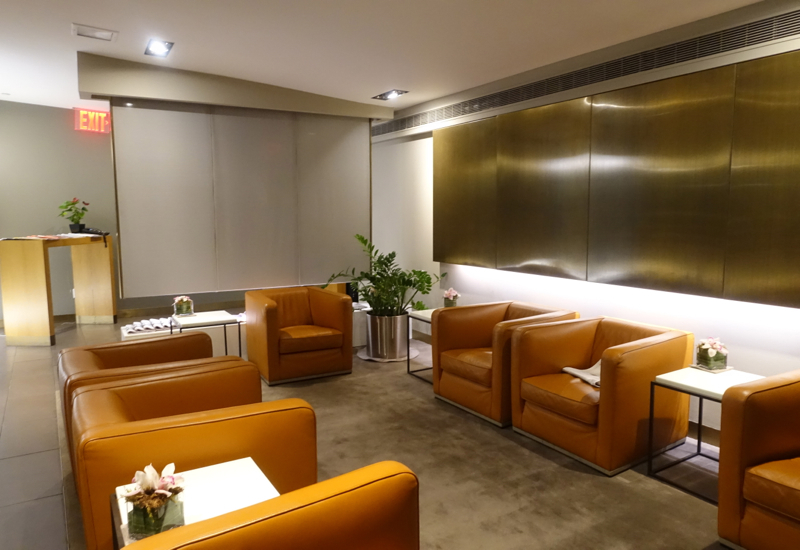 This Lufthansa First Class Lounge JFK Airport Terminal 1 Review is the first in a new trip report that includes Lufthansa First Class, the Lufthansa First Class Terminal in Frankfurt, and luxury hotels and dining in Paris and London. 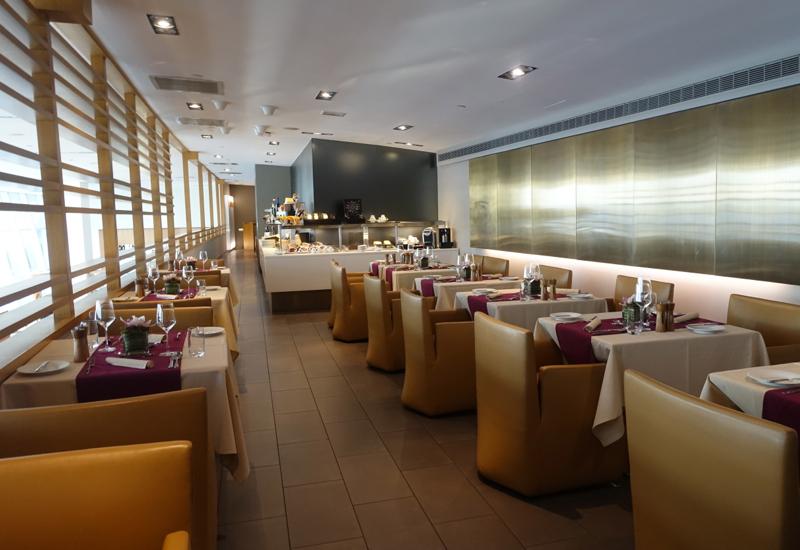 See all of our airport lounge reviews. 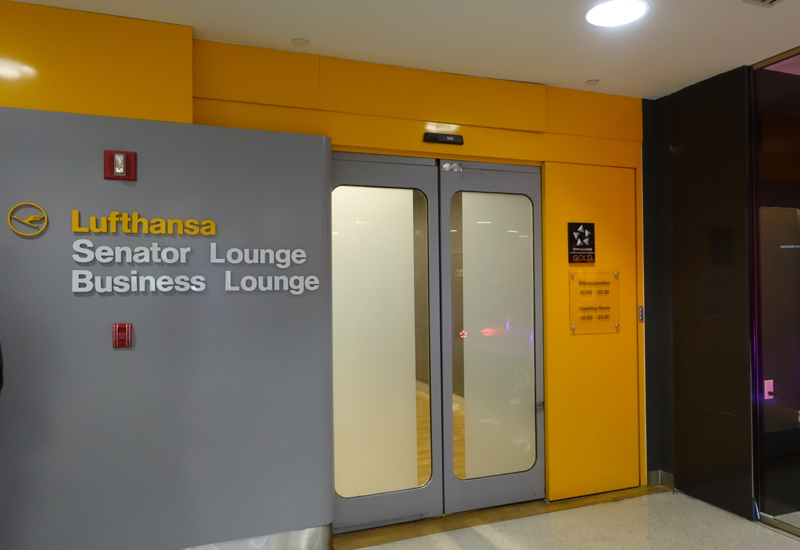 The Lufthansa First Class Lounge at JFK Airport Terminal 1 is located past security on the left, near Gate 3. 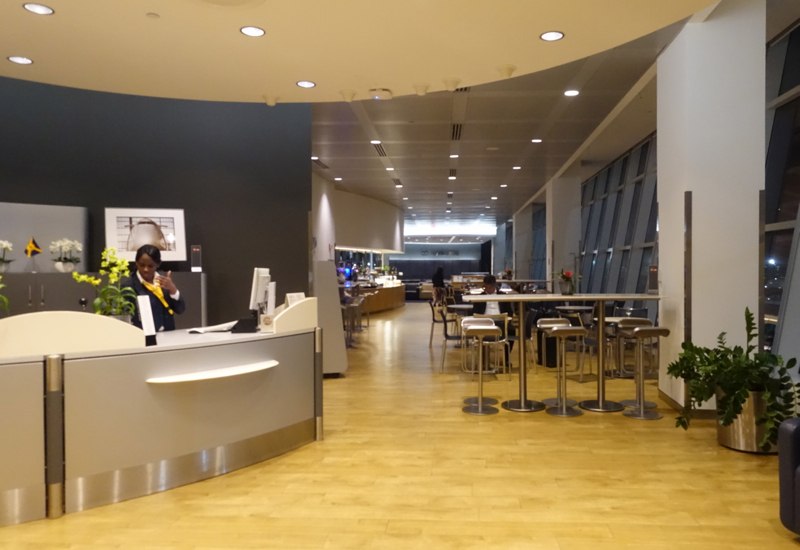 We made the mistake of turning right, since the signs indicated lounges that way, but those turned out to be the SkyTeam lounges such as Air France. 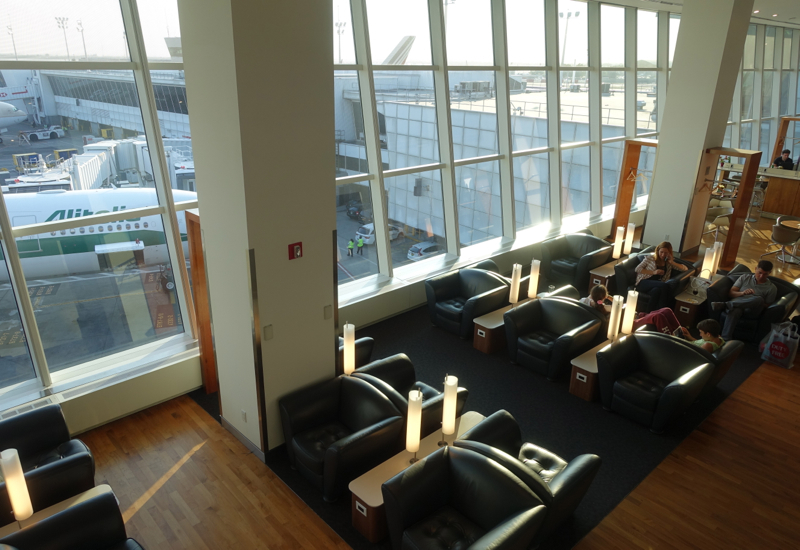 The lounge hours are 2pm-9:30pm daily, since the lounge has to stay open late enough to accommodate passengers on the flight we were on, which departs JFK at 9:55pm. 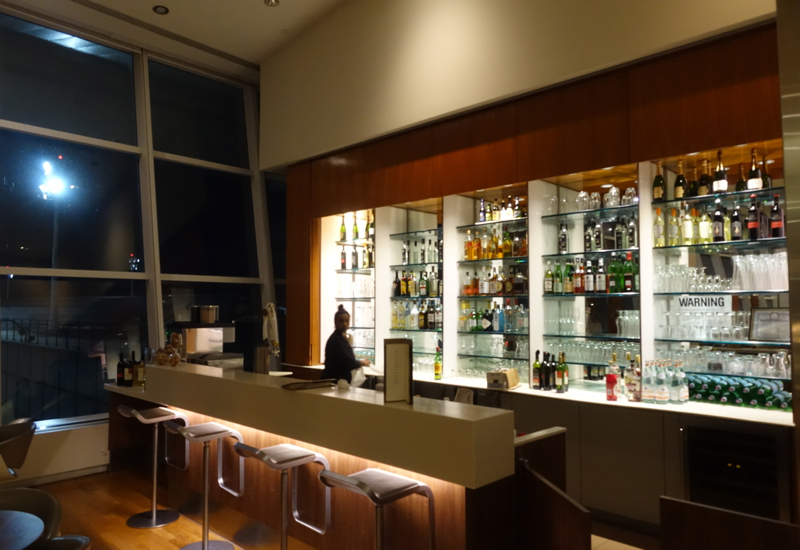 We checked in at the reception just inside the entrance, beyond which lies the Business Class Lounge. 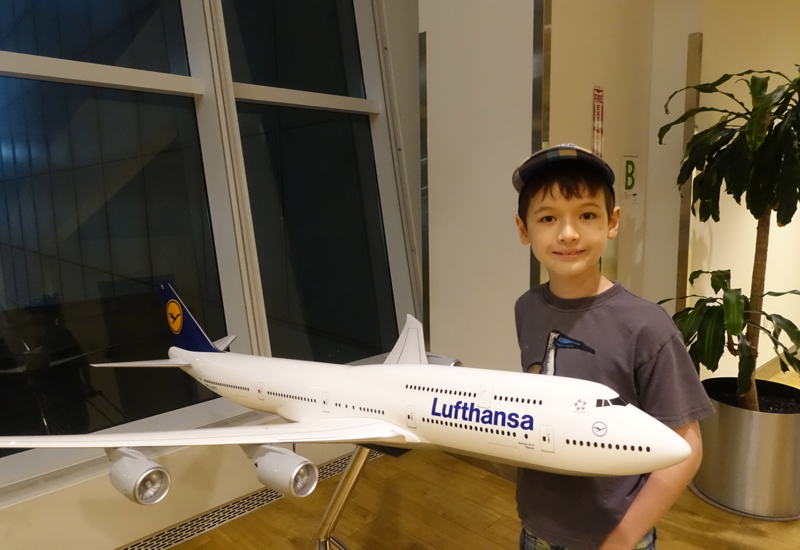 My son spotted a model of Lufthansa's A380, and later on in our journey even got a cardboard A380 model to assemble. 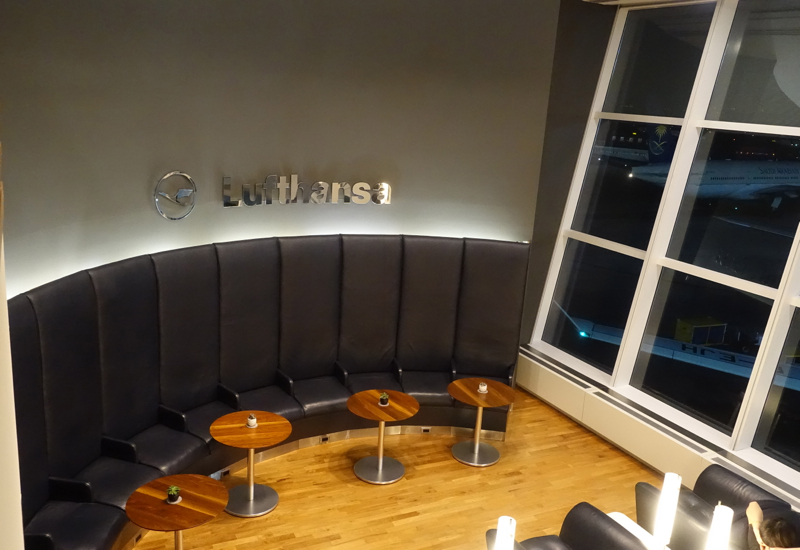 The seating at the back, under the Lufthansa signage, looked cool but perhaps not terribly comfortable to sit in, and I never saw anyone sit there. WiFi was free and no password was necessary. 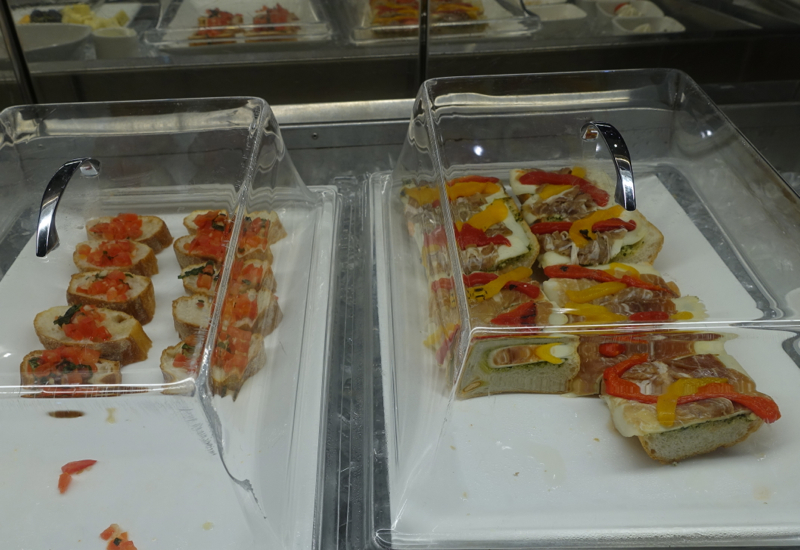 It wasn't super fast, and there was some delay in uploading files, but for email purposes it was fine. 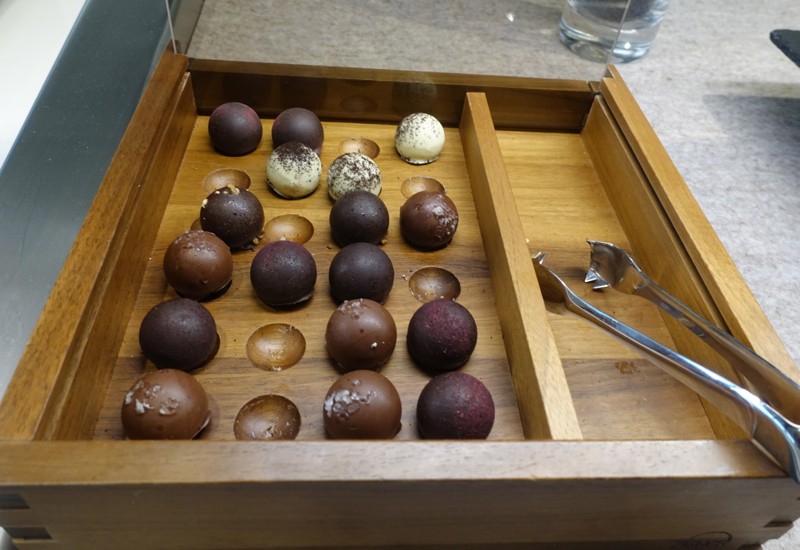 Bath products were unexpectedly nice: Tuscan Soul by Salvatore Ferragamo. 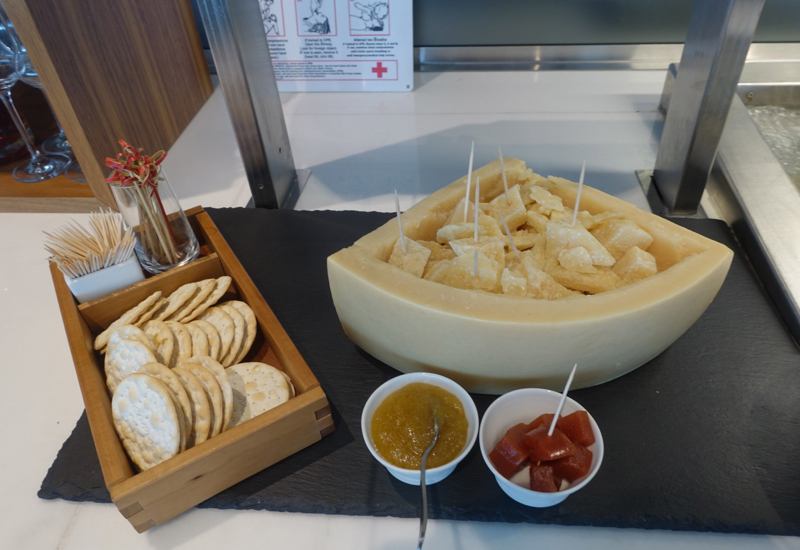 It instantly brought back memories of the fantastic Ferragamo hotels we stayed in last year in Rome and Florence, Portrait Roma and Portrait Firenze. 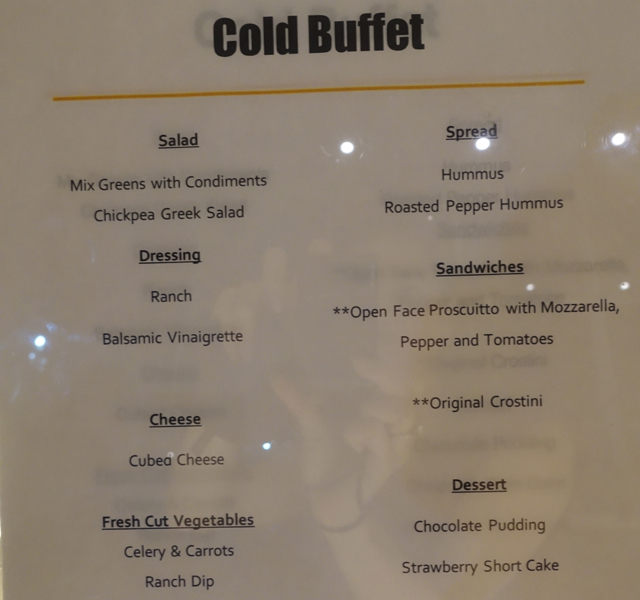 Most of the seating is in the dining room, which seems appropriate since the key differentiator between the Senator Lounge and First Class lounge is the food, as I'll discuss below. 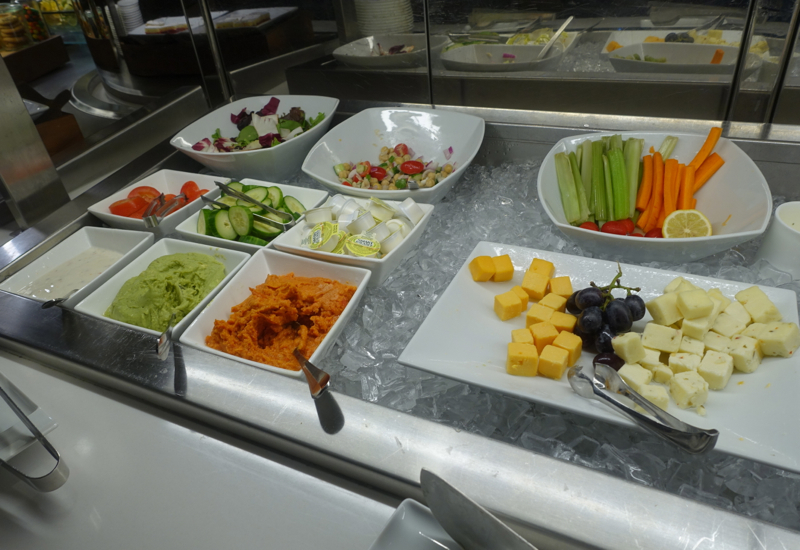 The Lufthansa First Class Lounge's main feature is its dining room with both a buffet and a la carte menu service. 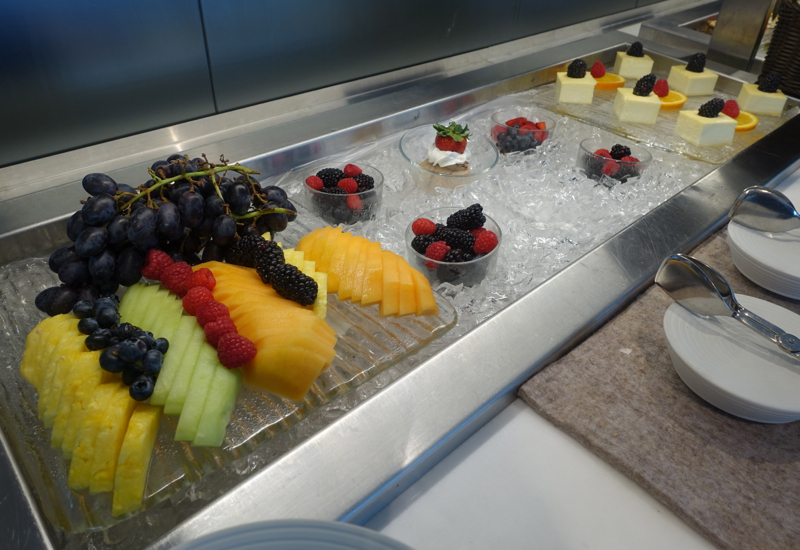 Even the buffet was beautifully presented, and in the case of the fresh fruits was more attractive than the Lufthansa First Class Terminal in Frankfurt. 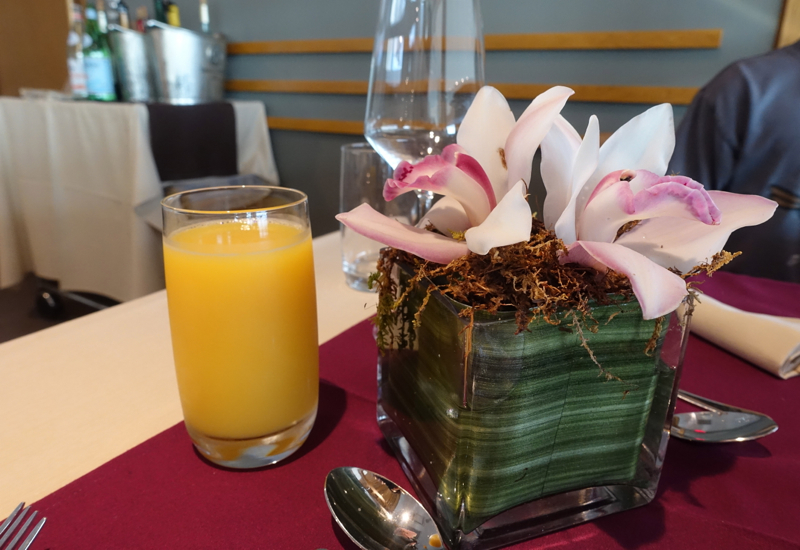 My son ordered an orange juice and I was offered wine, but declined, since I wanted to sleep as well as possible on the flight. 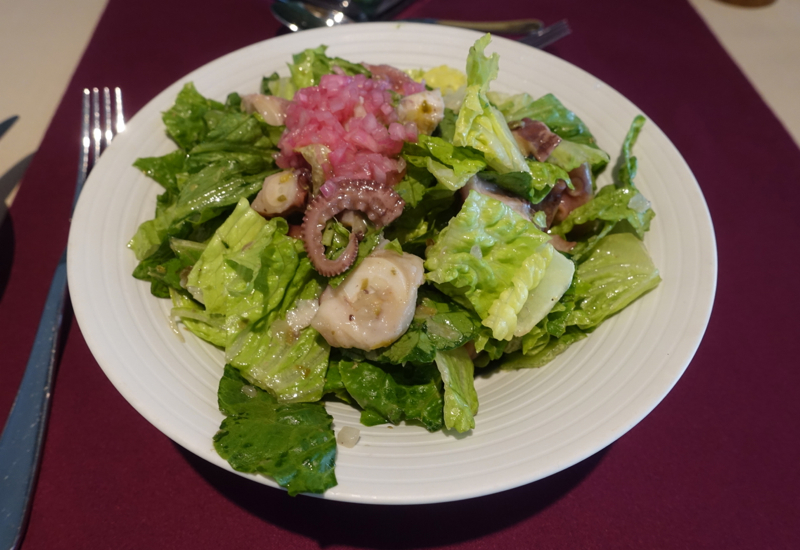 I started with the Octopus Salad, which was excellent: tender octopus pieces mixed with greens and a light vinaigrette. 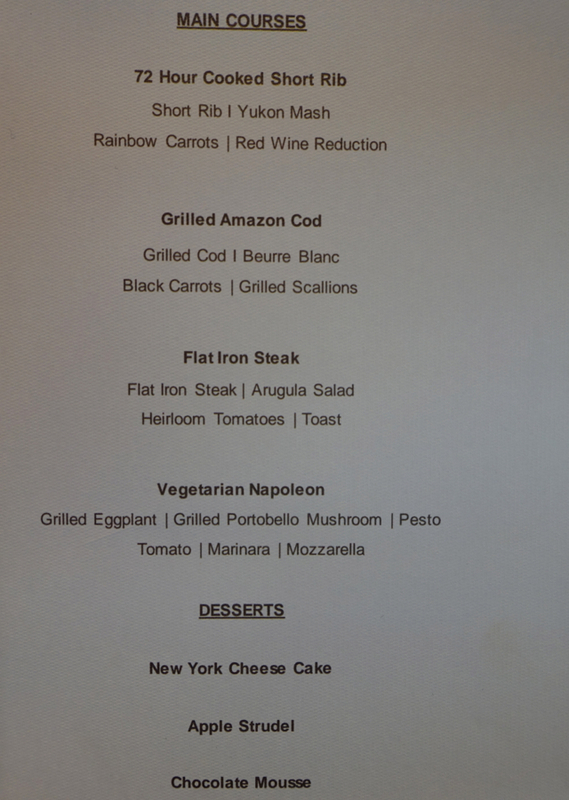 My son was very hungry and ordered the Flat Iron Steak, and apart from my one taste, he devoured all of it. 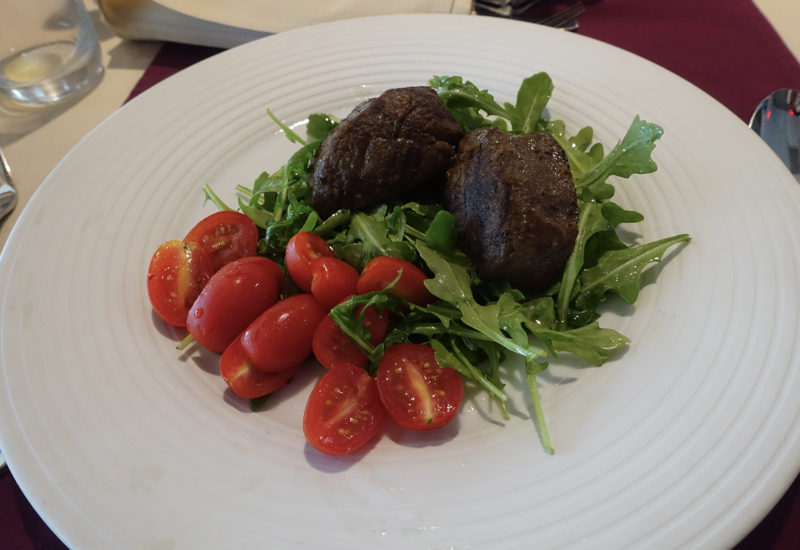 I did think it a little odd that we weren't initially asked how we wanted it cooked, but I volunteered that he'd like it cooked medium, and it came out perfectly medium. 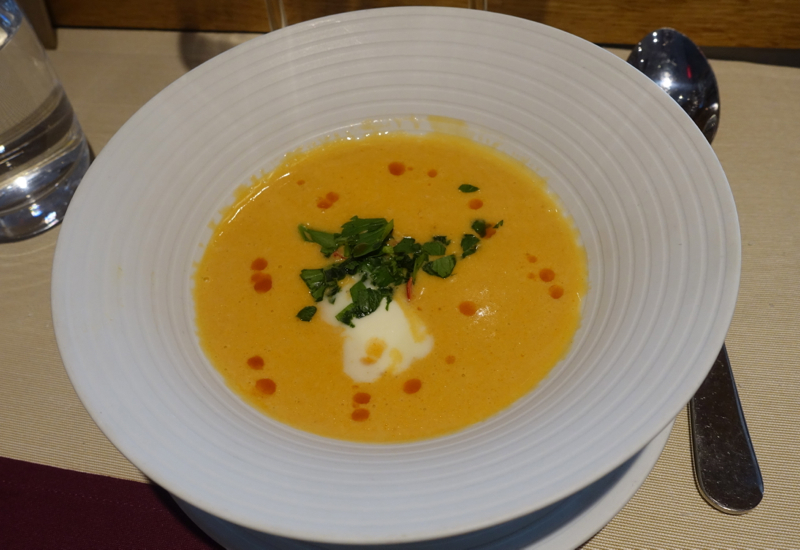 Instead of a main I decided to get the lobster bisque, which our server said was his favorite of the soups, and it was restaurant quality–silky and with some nice plump morsels of fresh lobster. 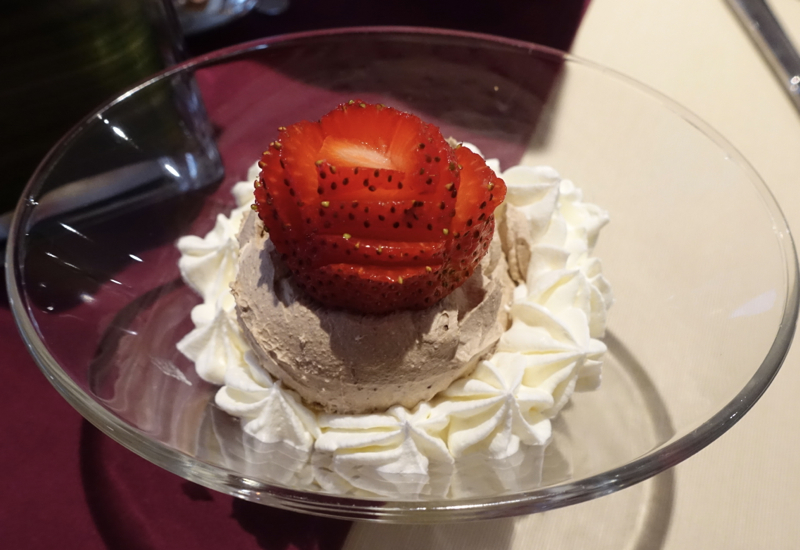 Dessert was a little underwhelming, although my son enjoyed his chocolate mousse anyway, especially the whipped cream. 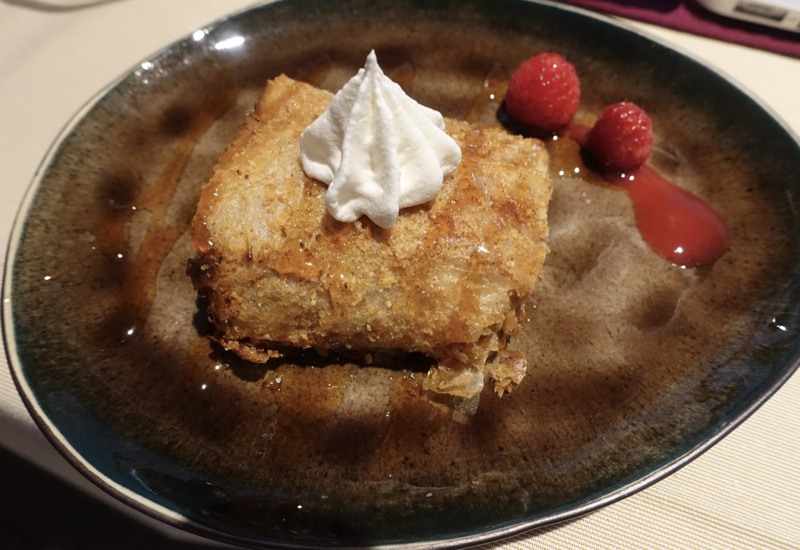 I ate about half of my apple strudel, but I've been spoiled by remembering the excellent strudels I've had in Germany, Austria and Hungary, so I let my son finish the rest of it. 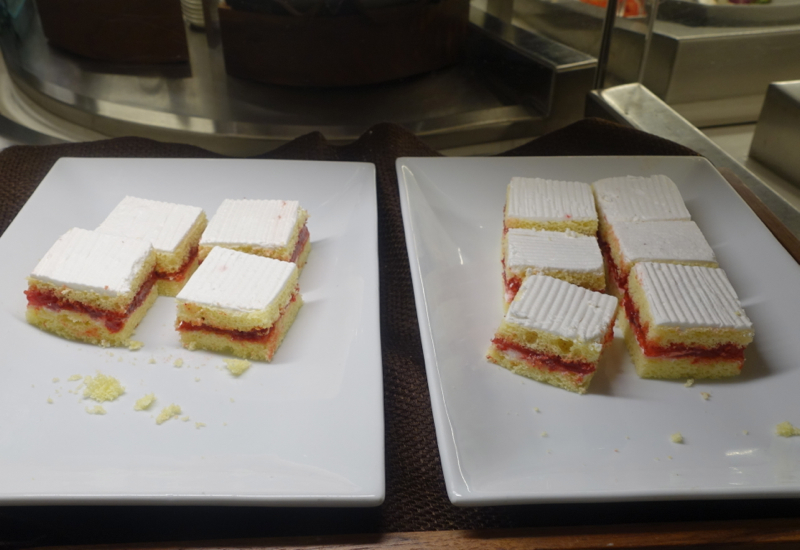 And some industrial looking strawberry “shortcake” that didn't resemble true shortcake in the slightest. 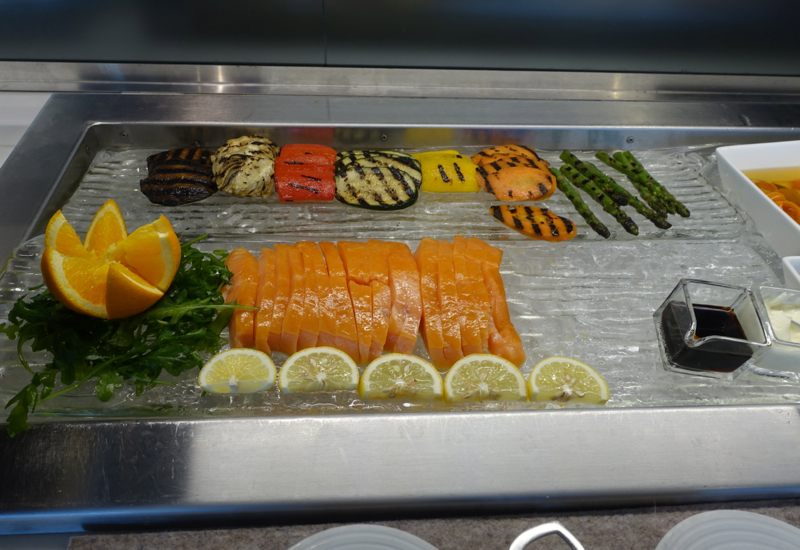 The Lufthana First Class Lounge at JFK Airport is small, as you'd expect for a space that is reserved solely for First Class passengers and HON Circle members, but a la carte dining was impressive given its small size and the few customers it serves. 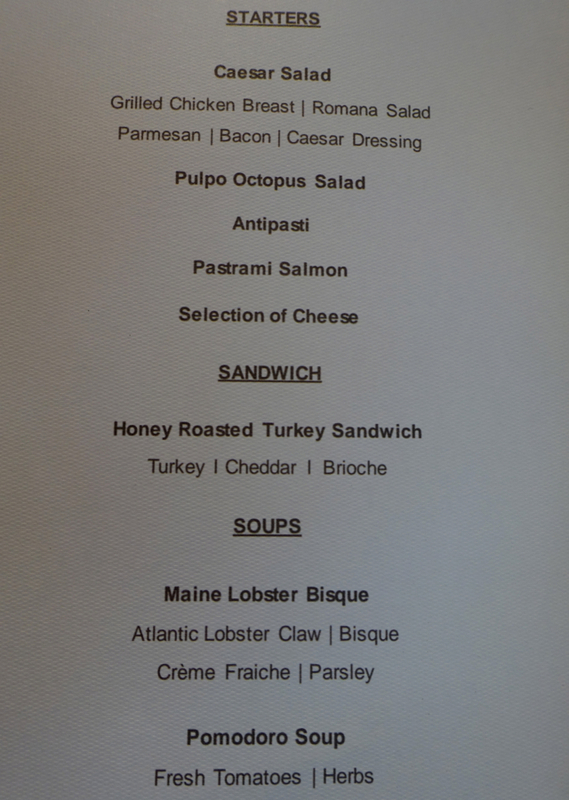 In fact, we were the only ones in the dining room the entire time of our visit, yet the choices and quality seemed undiminished. 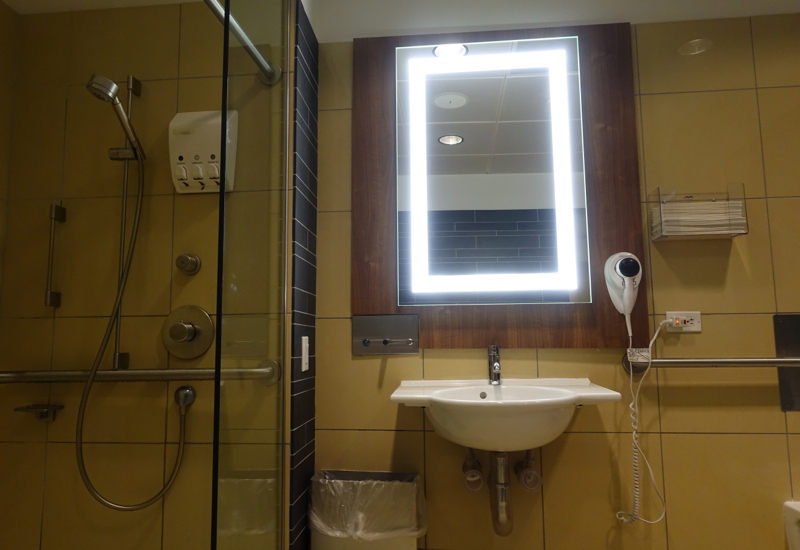 The shower room, located on the 2nd floor as part of the Senator Lounge, was somewhat old fashioned in design, but the quality of the towels and the Ferragamo bath products was excellent. 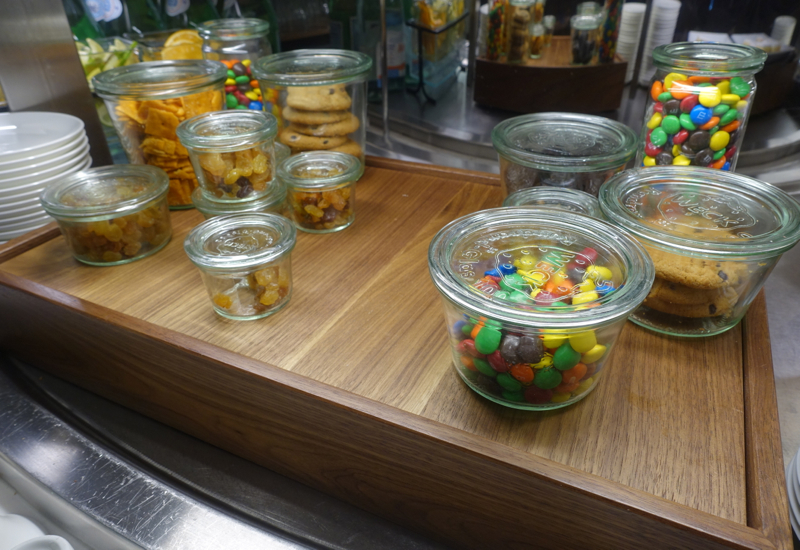 The Senator Lounge looked nice in terms of its soaring ceilings and seating, but its food offerings were decidedly mediocre looking compared to the First Class Lounge. 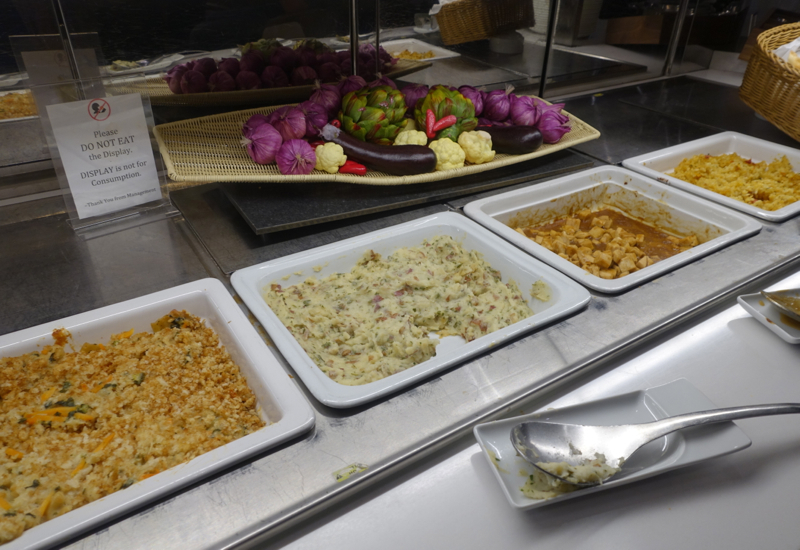 If you're Star Alliance Gold but are not flying First Class, I wouldn't bother coming early for the Senator Lounge offerings. 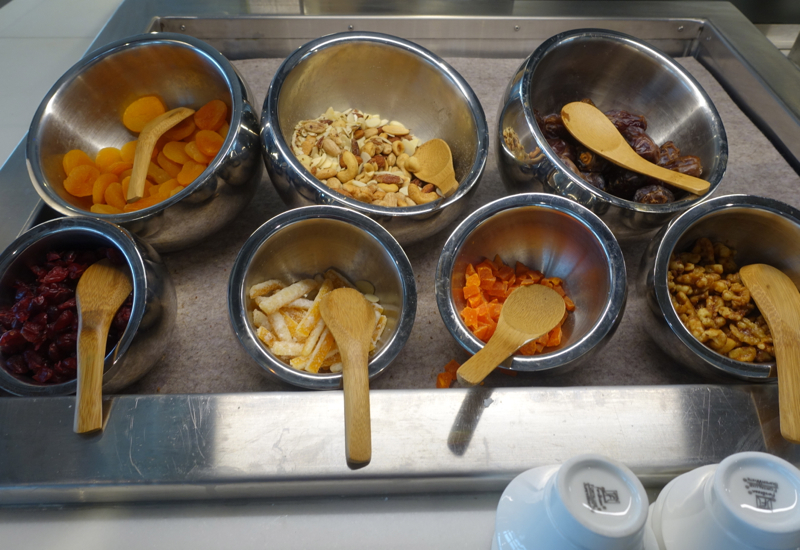 If you've visited the Lufthansa First Class Lounge or Senator Lounge at JFK recently, what was your experience?